When Katherine Harris, Florida Secretary of State (SoS) under Gov. 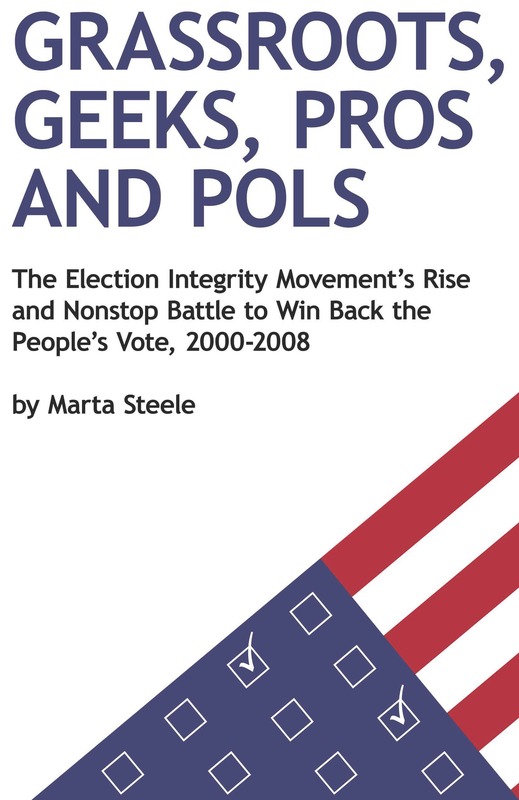 Jeb Bush's silent guidance purged 94,000 registered voters from the rolls via an outsourced data cruncher, she successfully planted Jebb's brother "W" into the White House far ahead of the Supreme Court the following month (that hideous date 12/12/2000). Harris was also co-chair of W's presidential campaign. Whose interests were really stymied by these conflicted wing nuts? And when R. Kenneth Blackwell, Ohio SoS under Gov. Bob Taft in 2004 and, like Harris, also co-chair of W's re-election campaign, used countless manipulative devices to hand the victory in this decider state to W, history was again stabbed in the heart and the death toll soared, of young soldiers in Afghanistan and Iraq and of democracy. In these two cases, state-level SoS's decided which candidate would win the presidency--surprise: G.W. Bush! This year, 2018, three SoS's will donate conflicts of interest to the election pool. As a matter of fact, the Georgia primaries last week chose SoS Jack Kemp, a notorious vote purger, as Republican candidate for governor of the Peachtree State. Did his office influence his victory? Does the dynamic progressive Stacy Abrams hold a chance up against the Machine? The second SoS is John Husted of the Decider State Ohio (again). He is running for lieutenant governor, unsurprisingly a Republican. He will also run his own election in November 2018, the running mate of former U.S. Senator and Congressman Mike DeWine, presently second-term state Attorney General (AG). With Husted at the hub, he's a shoe-in. In some states the attorney general has the election-relevant duties of the SoS. Ideal contenders, these gentlemen. Though he vociferously opposes voter ID, Husted has otherwise helped engineer elections won by the GOP in his home state. In Election 2012, approval for the uncertified patches placed on ES&S voting machinery came from his office--but the patches were disabled through vigorous, last-minute-efforts by attorney/activist/professor Bob Fitrakis, on Election Day itself. Obama won the Decider state while Karl Rove had an exasperated seizure broadcasted countrywide. He had also set up a man-in-the-middle device to work in concert with the patches. HIs eleventh-hour reprise of What Happened in Ohio 2004 tanked. Fox News had to quiet him down. Fox News conceded graciously. SCOTUS recently okayed caging practices in Ohio as Constitutional. Husted had no objections to this victory over likely Democratic voters. 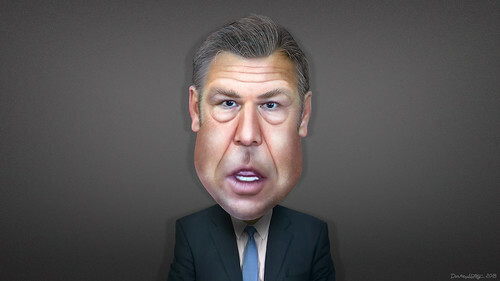 The third SoS running his own campaign this year is NOTORIOUS for his role in creating the so-far most formidable registration list purger of them all, Kris "KKK" Kobach, originator of the Interstate Crosscheck program. A scion of the Help America Vote Act's requirement that all states initiate statewide registration databases, he has successfully manipulated voter lists in circa 60 percent of the states, purging millions, mostly minorities. Those whose names resemble each other, from far-flung states, and share birthdates are purged from the list, accused of double voting. So Jon Jones in Washington state and Jonathan Quincy Jones in Rhode Island are both crossed off the rolls. Naturally this disaster hits common hames most frequently, names coincidentally held by likely Democratic voters, read: minorities. There are lots of minorities in this country and their numbers are growing. Blacks and Hispanics comprise 24.5 percent of the population according to the U.S. Census. Kobach's solution is one of many brutal battles back by white mostly-males who, by the way, are no longer the majority of voters. But they are scared. I could go on about Kobach, but you can find out all about him in Greg Palast's latest film, The Best Democracy Money Can Buy: Billionaires and Ballot Bandits and its sequel Billionaires and Ballot Bandits: The Case of the Stolen Election. He is one of Palast's favorite vote vultures. So this Harvard and Oxford scion, not their favorite alumnus, to be sure, will be in charge of an election that may very well feature him as GOP gubernatorial candidate. The Republican primary in Kansas was held last Tuesday, August 7, and the totals between "KKK" and his opponent, the incumbent governor Jeff Colyer, were nearly tied. Shades of Al Franken's small margin of victory in 2008, and G.W. Bush's in Florida and Ohio and even smaller ones like the 129 votes that handed the gubernatorial election to Christine Gregoire in Washington state in 2008. Kobach a week after the primaries holds a 110-vote lead over Colyer, out of 311,000 votes cast. That's as of yesterday, August 12.